Have you thought about getting married abroad? 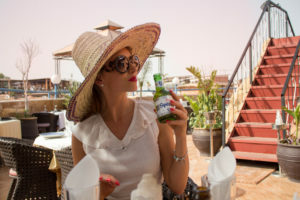 Have you considered Marrakech? 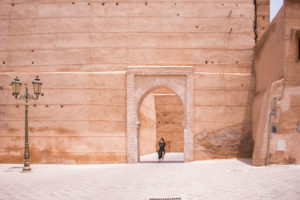 It might seem quite unusual as it is an Arabic country, which means the procedures could be the bit too tricky, but hey! There is always a way. 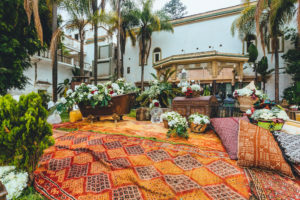 Morocco is one of the hottest Destination Wedding trends this year. Why? 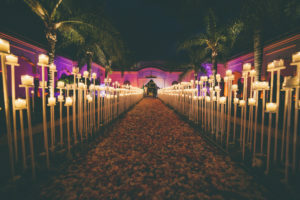 It’s a magical, exclusive and exotic location for a wedding! Combining the perfect weather with a remarkable local culture, you’ll feel like you were in a mystical world where anything can happen. 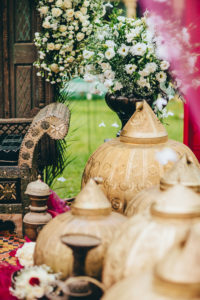 In Morocco, the marriage celebration includes several well-organized ceremonies that can last from… 3 days to a week, depending on the family and region of Morocco. The western wedding does not take as long – it is a matter of 6-8 hours of a ceremony and celebration. 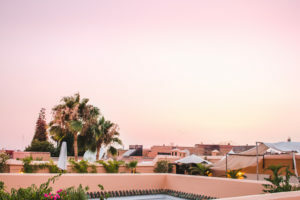 Destination Weddings in Marrakech have become a thing in the recent years, which is why some of the riads and hotels have extended their offer to a wedding reception, a ceremony, hen and bachelorette parties as well as the luxurious honeymoons. 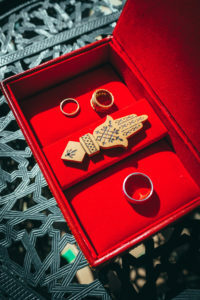 Non-Moroccans marrying a Non-Moroccan should check with the Moroccan embassy in their home country as the residency periods vary between regions. 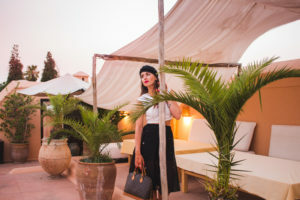 We travelled to Marrakech last month in order to explore the region and to find the best potential wedding venues. 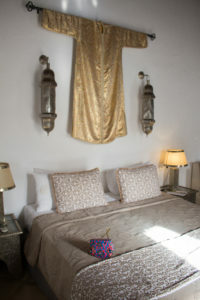 Riad Adore is located in one of the oldest neighbourhood of Marrakech – in my opinion very chic and fashionable area. Not too far from the Souk and only about 20 minutes walking to the famous Bahia Palace. 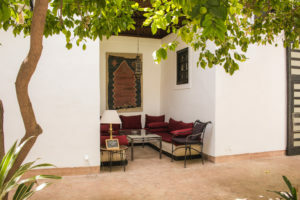 It is a beautiful, modern and luxurious 10-bedroom riad. Although it has been renovated, it still has the whole loads of oriental charm about it. I loved having breakfast on the rooftop terrace. Having coffee with the view of the red city is something remarkable. The interior is vey well-balances. The suites rooms and the patio are kept in the pastel ton, but with a touch of orietnal accent. 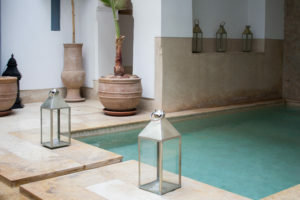 The swimming pool makes of a great accent and the Moroccan tiles look exotic. 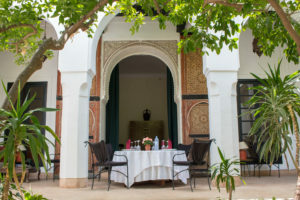 The restaurant is also something Riad Adore should be proud of. 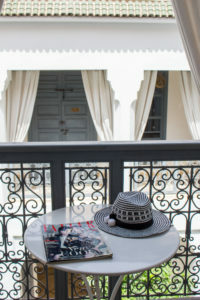 I think Riad Adore would make a perfect boutique wedding venue and a perfect honeymoon location. they do not include the cost of the Celebrant as they charge different rates – they do however put you in direct contact with them. Depending on the time of year the dinner and/or celebration can be held either on the terrace or indoors in the salon/courtyards. I would definitely recommend a small wedding reception on a rooftop terrace in the Spring. I bet the view would make your ‘I do’ moment unforgettable. The advantage of booking a honeymoon, wedding or hen party with us is that it can be adapted to the guests budget. This place will make you WOW. It is a hidden garden, just like from a movie. 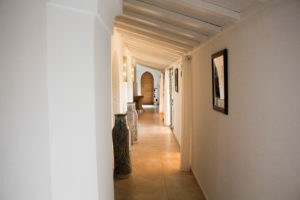 It is located in the very south of Medina, only a stone’s throw from Bahia Palace. You would never expect the exotic garden to be placed behind the little wooden door! It is a historical place, full of hidden rooms. Although this place is very luxurious, ‘luxury’ is not the word to describe the overall atmosphere of the place. It is exotic, oriental and has a lot of charm about it. There is two large ballrooms/ conference room which is applicable for a boutique wedding of up to 20 guests. There are 36 suites in the hotel, which is enough for your guests to stay in a comfortable condition. The prices are tailor made and discussed with the couple as well as the wedding planners. 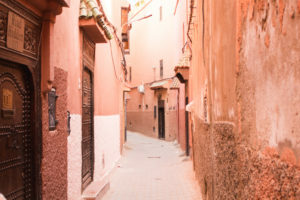 Riyad El Cadi is located in the very heart of Medina. It is the most traditional place in today’s findings. 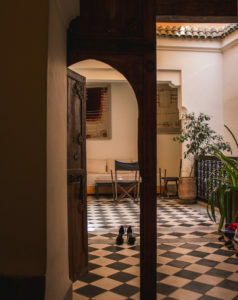 Formally, a riad was a home of Moroccan aristocracy. The opulent interior could not be detected from the exterior and many examples show, even the entrances were hidden – in some cases I almost had to bend to cross the door. 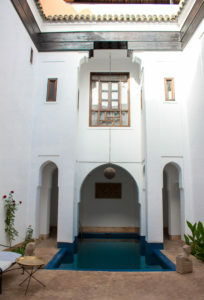 Islamic architecture features a modest exterior in order to detract the jealousy from the neighbours. 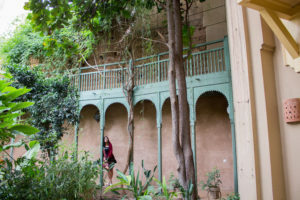 Inside these riads, however, the aristocracy had the freedom to decorate as they wanted – mostly in the so-called bohemian chic style, which is exactly what you will see at the Riyad El Cadi. It is a luxurious place with a touch of oriental culture. The food is remarkably great and the wine is delicious. I am sure your guests would be enchanted by the hospitality of the staff as well! Riad El Cadi is also known as the honeymoon location. Honeymoon in there means: candlelight dinner, a luxurious suite, a bottle of champagne in your room and lush roses and a most relaxing stay. As for the wedding reception and a ceremony – the cost is to be discussed with the team. 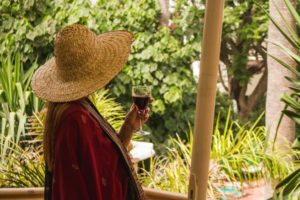 There are no flat rates for the needs of the couples are different and have to be adjusted to the number of guests and the season of the year. 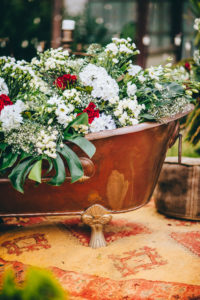 Are you not quite sure how to organise such a wedding? 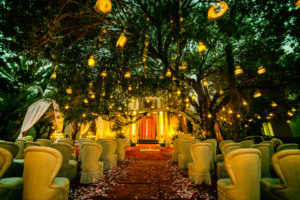 I would hire a professional wedding planner at Cocoon Events wedding agency. 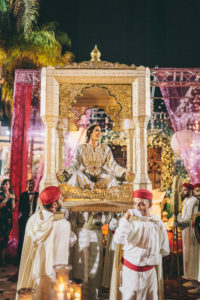 Your Marrakech wedding planner, specializes in magical, personalized wedding experiences at exotic destinations around the globe. 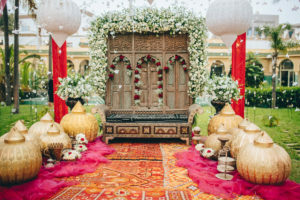 They will help you find your perfect wedding venues in Marrakech, whether you seek a cozy old world villa with mosaic tiling or a palace with sunken orange groves, worthy of royalty. 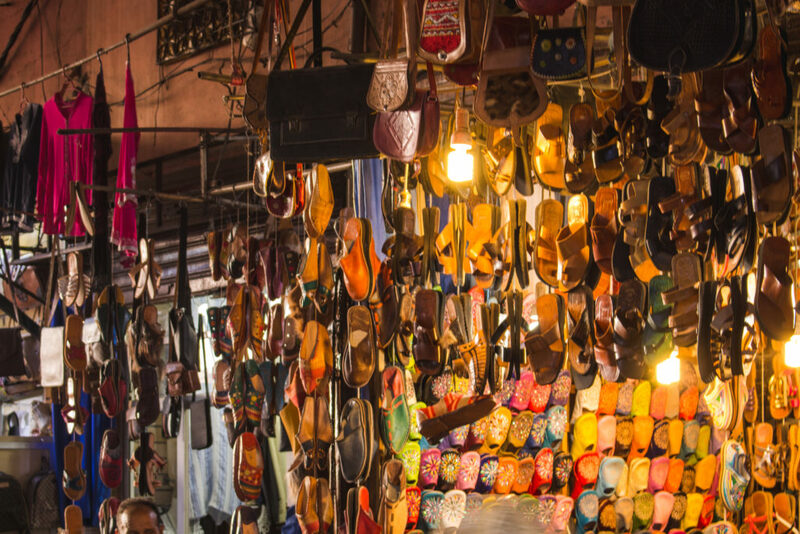 If you are after a great quality and unique products, Marrakech should be on your must-see list for sure! I came back with a lovely bag, a pair of bamboshe, earrings and two hats. I also bought the famous Argan oil – the perfect cure for the hair, wrinkles and cellulite. 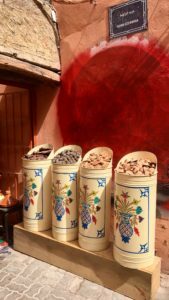 The souk offers so much more! 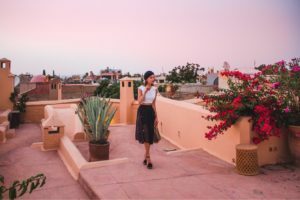 There is the whole list of things I will definitely buy next time I am in Marrakech, which likely is soon as I will head to Trablin Marrakech conference in November. As for the interior design, there is the whole separate post about it. I spotted all the amazing rugs, lamps, cushions, curtains and the Moroccan styled tiles. You would surely be able to decorate your house! I think it is a perfect activity idea for the after-wedding day. 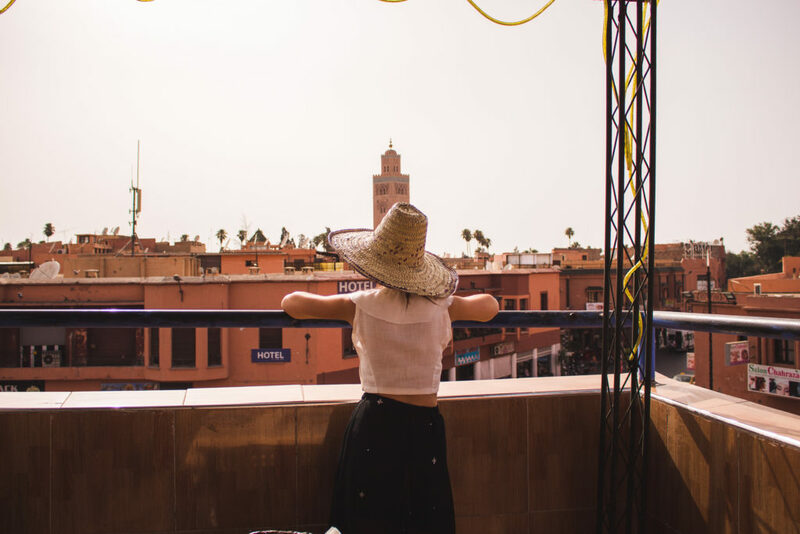 Marrakech is a perfect sightseeing destination – at least in the Spring or late Autumn. We were told we were lucky, as the temperature ‘only’ hit 30-35 degrees in July (16th-20th of July). 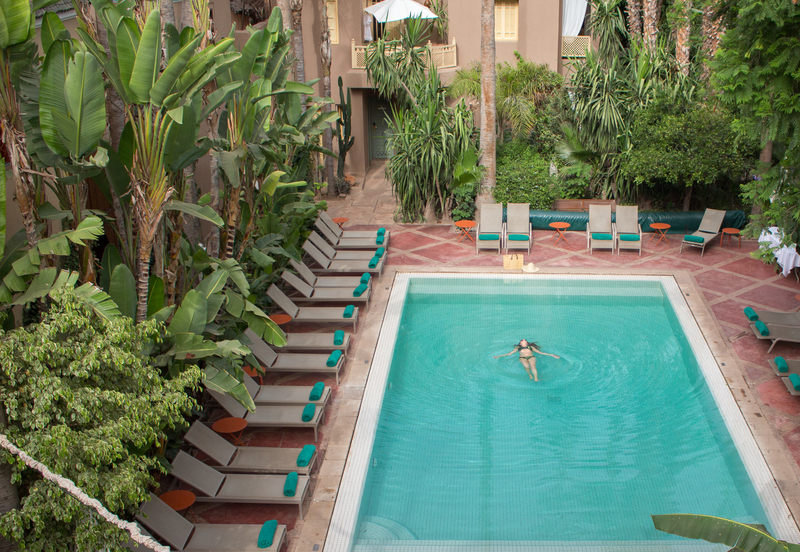 The average temperature in Marrakech is 45 degrees. But you would surely not want your ceremony to be in the middle of the summer, right? I think the sightseeing tour with a tour guide is a great activity for both – before and after the wedding. You would definitely be able to feel the magic of the red city! There is the whole loads to see. 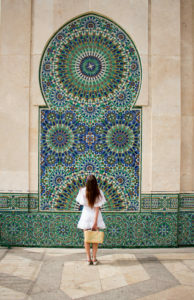 Bahia Palace, Saadian Tombs, The Souk. You would have to dedicate at least two days to see the red city in a proper way. 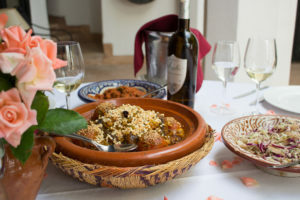 Did you know Moroccan cuisine was voted one of the most delicious cuisines of the world? 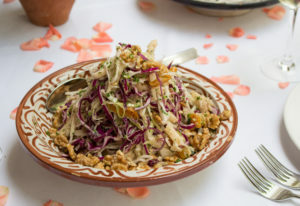 Moroccan cooking abounds with subtle spices and intriguing flavour combinations. Traditional tajines/tagines are a combination of coriander, parsley, cumin and a hint of chilli. 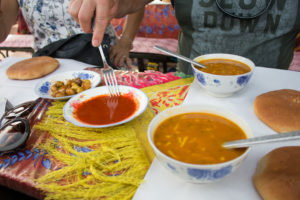 The meat is served with the hint of cinnamon and icing sugar, and the oat-like soup is served with the spicy chilli. 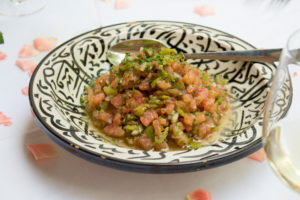 There are the aubergine salads, harira, b’saara soup as well as the famous couscous dishes. 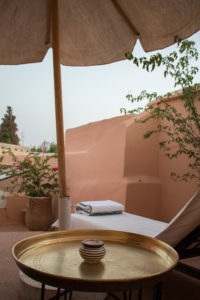 I also loved the Moroccan wine. I am surprised it is not widely known in Europe. 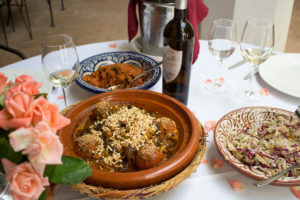 The white wine is very rich in flavour and makes of a perfect duo with the spicy tagine. The local beer is also very tasty and refreshing, at least according to my fiancé. 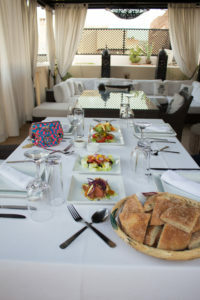 Food served at the Riad El Cadi. Simply delicious! You have to try the local food from the food market. I could not resist NOT putting it on the list. Yves Saint Laurent, a French designer, travelled to Marrakech for a holiday for the first time. He was not particularly fond or this Northern African country, but felt in love the moment he touched the groud. 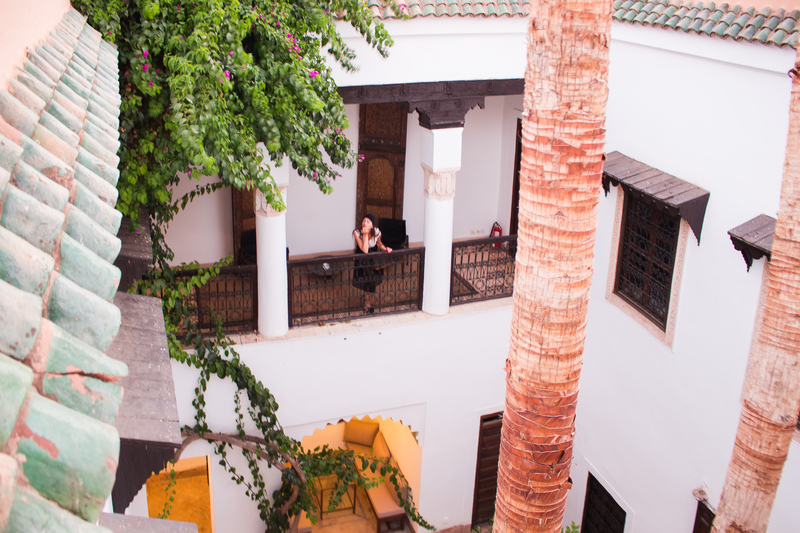 After staying at the famous La Mamounia, him and his beloved partner, Pierre Bergé, decided to get a small house in Medina and moved to The Red City for some time. 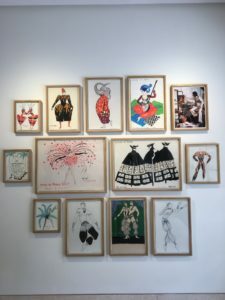 Yves claimed he felt really inspired by everything about Marrakech – the red buildings, orientally dressed people, the souk. He also enjoyed the exotic gardens that belonged to Majorelle, the famous artist. 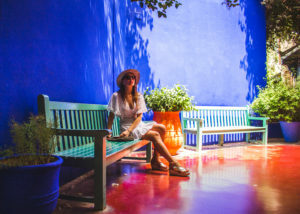 Le Jardin Majorelle à Marrakech was bought by Yves Saint Laurent and Pierre Bergé in the 80’s and donated to the Foudation Jardin Majorelle, former Foundation Bergé- YSL, in 2008, after the death of the genius fashion designer. 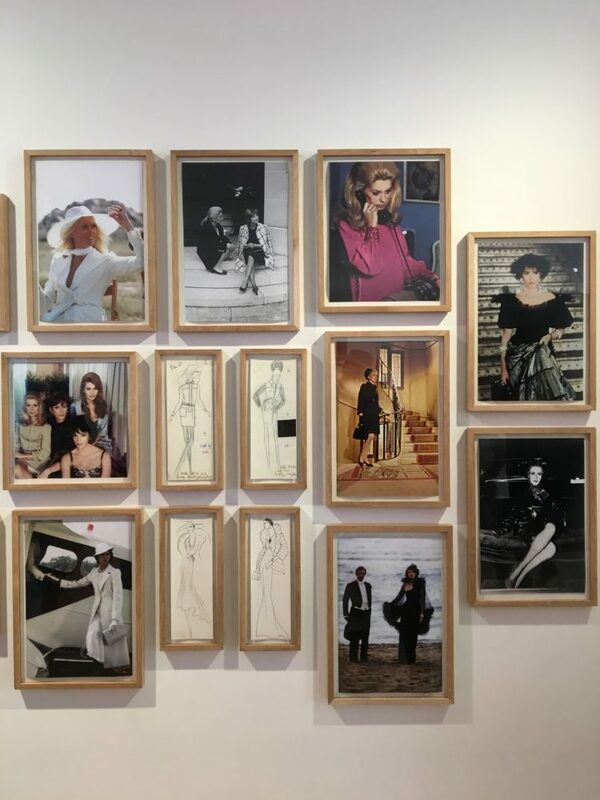 In 2018 there is not only a possibility to visit the inspiring and magnificent gardens, but also a newly opened YSL museum. It was a must- see for me and I really recommend it for every person who admires the history of fashion. 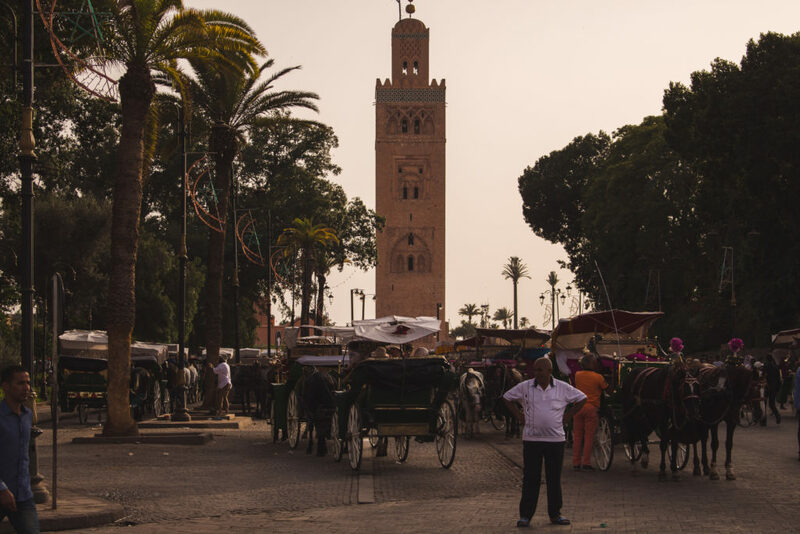 Marrakech is located in a perfect location for a road trip. 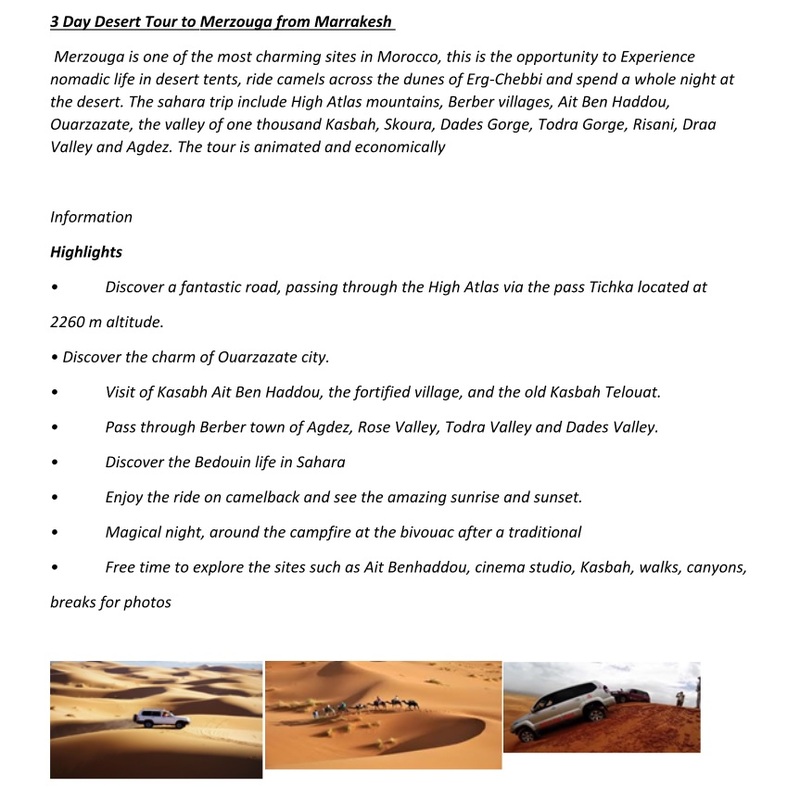 There are the whole loads of opportunities – you can explore Sahara, experience the beautiful Ouzoud Waterfalls. Agadir and the magnificent oceanside is only around 2 hours away from the Red City. I would highly recommend organising the trip before your arrival in order to avoid overpaying. 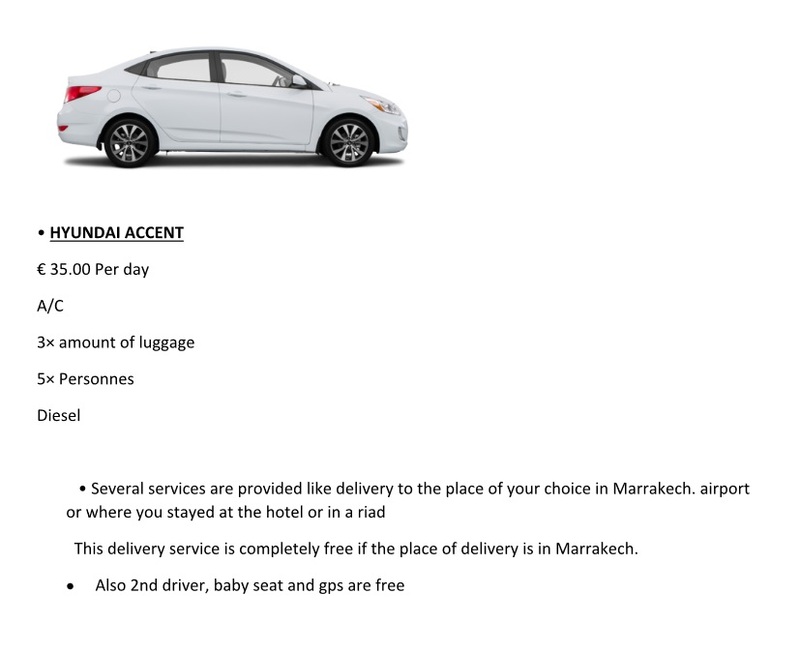 I’d suggest to contact Ready Car Marrakech for more details. They are professional, know the market and the client’s needs. You could discuss your desired itinerary with the staff and decided what you want to do. It would definitely be a great activity for yourself and the wedding guests. We decided to go to Casablanca, which was a great mistake. I personally did not feel the vibe of the city at all. It is an industrial city and does not really have the oriental magic. It is not even close as great as Marrakech. But well – we saw, we experienced. Driving though the red desert with the view of the sunset was amazing though! We rented a comfortable car from Ready Car Marrakech. Unlike it is in Dubai, you don’t have to have a special permission or some extra papers – just the driving licence. The whole procedure is also very quick and easy to deal with. Oh wow, this is just so amazing! What a magical place! Marrakech is so so Beautiful! Marrakesh is so beautiful hun and your pictures look amazing. Marrakech looks amazing. I don’t think I’d choose it as a marriage destination, though. Wow! I’d love to go Marrakech one day! This place looks stunning! I love all your travel photos! I must go there!!! I’ev never been there but photos are amazing. Loved the wedding venues pictures, and you look amazing , especilly in this black skirt and white top. I’m glad you enjoyed your trip. Awesome Post! 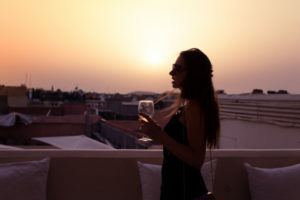 I’ve never been to marrakech, but your description sounds great! 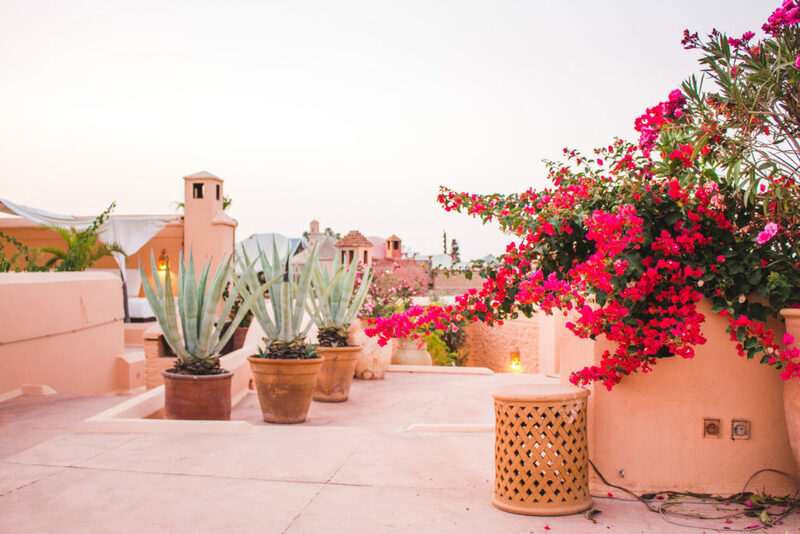 These shots are so lovely- makes me want to book a trip STAT!